DyeCam Camo color. The Dye Tactical Assault Paintball Harness was built for the fast and aggressive woodsballer. If you are the type of scenario who runs from objective to objective, then the Dye Tactical Assault Harness is made for you! Mask / Goggles. Airsoft Gun and Paintball Gun Information Clothing / Apparel. Airsoft Clothing. Airsoft Guns are TOYS and comply with all Federal Laws and Regulations. Any alteration (including color) will void the warranty of the item. Trending at $69.95eBay determines this price through a machine learned model of the product's sale prices within the last 90 days. Choose your flag, emblem, badge and unit class and take to the battlefield with style. Our founder who fell in love with the sport of paintball through a corporate team building event, found it very difficult to find gear at affordable prices in Tampa. 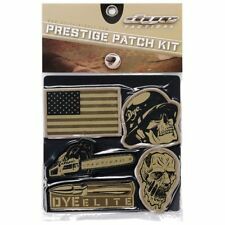 Choose your flag, emblem, badge and unit class and take to the battlefield with style. Most importantly, all of the Wicked Sports staff play paintball. All of our employees get out to the field as often as they can. Dye Performance Performance Top. Our founder who fell in love with the sport of paintball through a corporate team building event, found it very difficult to find gear at affordable prices in Tampa. We also carry our own rapidly growing line of custom products including tanks, t-shirts, barrel covers, tech mats and goggle bags. 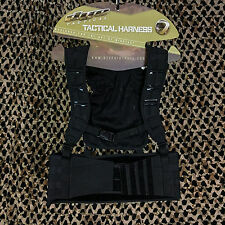 The Dye Tactical Assault Paintball Harness was built for the fast and aggressive woodsballer. If you are the type of scenario who runs from objective to objective, then the Dye Tactical Assault Harness is made for you! Choose your flag, emblem, badge and unit class and take to the battlefield with style. WE DO NOT TAKE BACK ANY USED OR OPENED PRODUCT. Simi Valley, CA 93065. Choose your flag, emblem, badge and unit class and take to the battlefield with style. 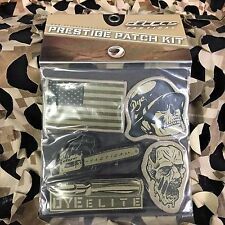 Dye 2011 Tactical Prestige Velcro Patch Kit - Badge. WE DO NOT TAKE BACK ANY USED OR OPENED PRODUCT. Simi Valley, CA 93065. Manufacturer's warranty goes into affect thereafter. Choose your flag, emblem, badge and unit class and take to the battlefield with style. 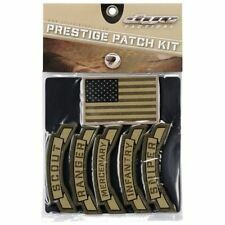 Dye 2011 Tactical Prestige Velcro Patch Kit - Unit. WE DO NOT TAKE BACK ANY USED OR OPENED PRODUCT. We will respond to your inquiry in 24-48 hours. Clip pouches fit both the DTM 10 and DTM 20 magazines and are designed to fit the standard Molle webbing. The elastic cord allows for quick retrieval as well as adjusting to using one clip or two per pouch. We will respond to your inquiry in 24-48 hours. WE DO NOT TAKE BACK ANY USED OR OPENED PRODUCT. Dye Performance Performance Top. We also carry our own rapidly growing line of custom products including tanks, t-shirts, barrel covers, tech mats and goggle bags. Most importantly, all of the Wicked Sports staff play paintball. Designed to fit the standard MOLLE webbing system. We also carry our own rapidly growing line of custom products including tanks, t-shirts, barrel covers, tech mats and goggle bags. Most importantly, all of the Wicked Sports staff play paintball. SKU: DYE2011JVESTACCGRENADEPOUCHCAM. WE DO NOT TAKE BACK ANY USED OR OPENED PRODUCT. Simi Valley, CA 93065. We will respond to your inquiry in 24-48 hours. Simi Valley, CA 93065. 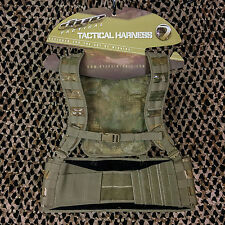 Dye Tactical Paintball harness Molle / carrying harness (Dyecam). The dye tactical harness is compatible with all dye tactical bags from our product range, as well as all other available Molle Molle bags.